Unmarked spoilers for the entire series ahead. 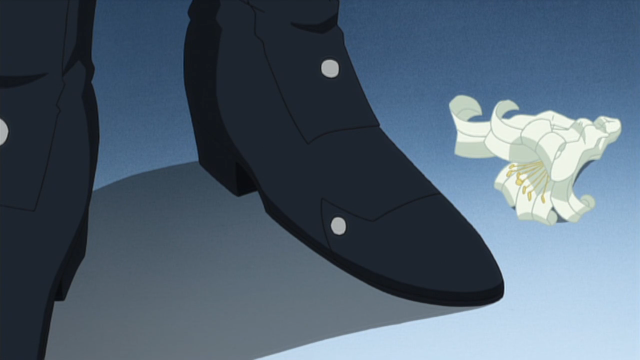 One of the recurring symbolic items in season 1 is the mountain lily. This isn't an official name--it's just what the flower itself most resembles. The first time the mountain lily is encountered is in ride 31, at the start of the second match between Q4 and AL4. Ren is seen holding one in his observation deck, and a visual connection is made between him crushing the flower and Kyou feeling pain(presumably, from Ren's Qualia. It was demonstrated in both rides 30 and 49 that Ren can use his Qualia to hurt others, and Aichi does something similar in 42.) It's worth noting that in the Japanese language of flowers, lilies are used to refer to "purity" and "chastity." At the time the flower seems out of place, but the viewer is often looking in the wrong direction to see its meaning. 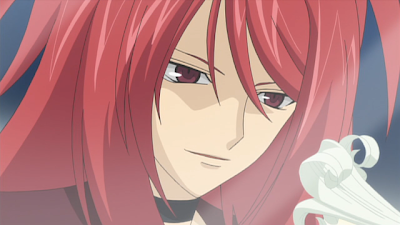 The mountain lily isn't at all connected to Kyou, but is instead to Kai. This is because its first chronological appearance is in ride 49, during Kai's flashback to four years ago. "Ren is preoccupied with Kai. 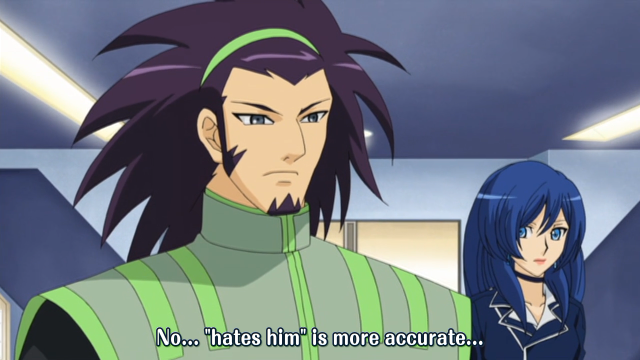 No..."hates him" is more accurate..."
Ren's demand for an apology shows that he doesn't believe himself to be in the wrong in the slightest. It's Kai who messed up, and it's Kai who needs to pay. By crushing the flower that Ren knows was present at Mr. and Mrs. Kai's funeral, he's trampling on his friends' life and their shared history. 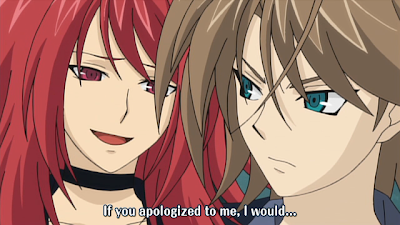 Ren has gone from wanting his friend back, to senselessly lashing out at Kai, attempting everything to hurt him as much as is possible--up to and including turning Aichi into Suzugamori 2.0, pushing Kai to quit Q4, and be left isolated again. By ride 48 Kai has no one but Miwa to turn to, and it's only because Toshiki finally overcomes his own flaws and reaches out to Aichi that Ren's plan to put Kai on his knees fails. The final appearance of the mountain lily is ride 53, while Ren awaits for the results of the national tournament elimination round. 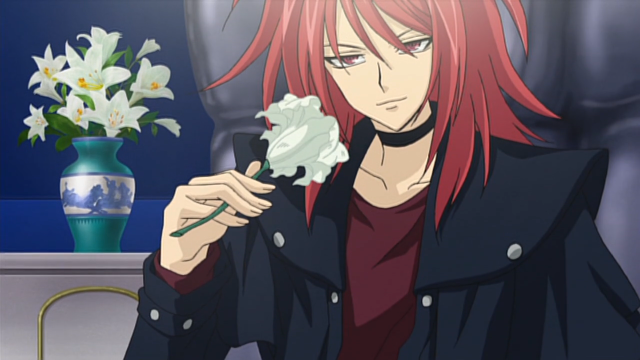 Here we see that Ren actually has a vase full of these mountain lilies. 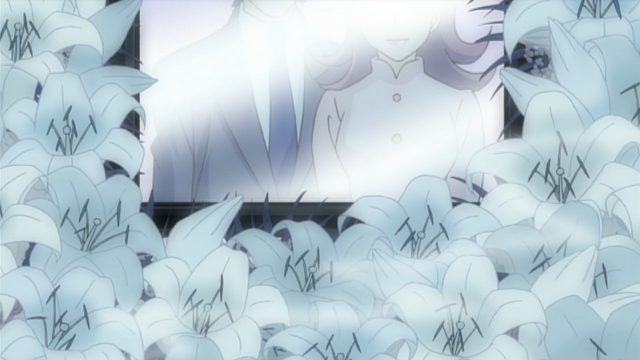 Note that while Ren holds a trimmed lily here, and the one he crushes in 31 has the top two leaves remaining, the vase he takes them from and the funeral bouquets seen in the flashbacks all have the leaves radiating wildly out from the stem, a characteristic of the Japanese mountain lily. Once again, Ren crushes the lily he's holding. This time the act of tearing the flower up has a different meaning--Ren has just had his plan to isolate Kai ruined, he himself was publicly humiliated by Aichi, and his main plot to "take over" Japan is for the very first time under serious threat. 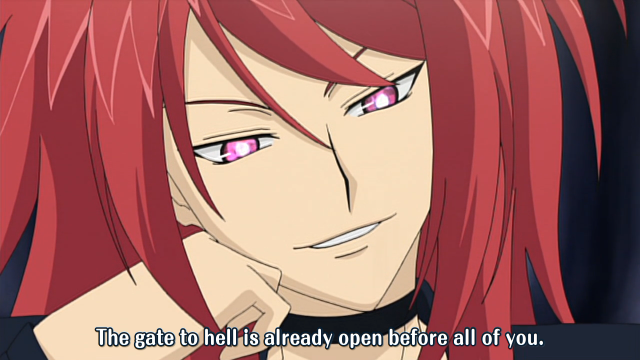 Aichi and Kai are literally the only people in the country capable of fighting Ren on equal ground, and they are now both willfully hunting him. 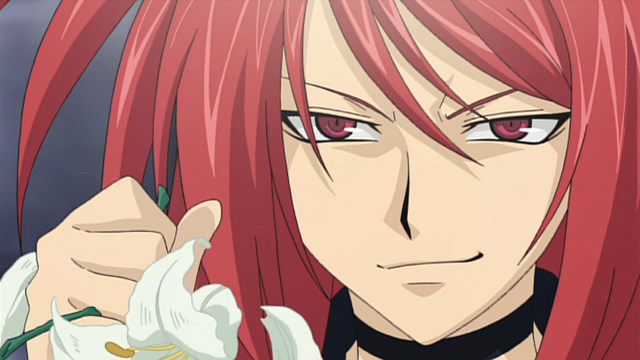 Breaking this flower, rather than being a statement of hatred, is Ren's crossing of the Rubicon. He doesn't care about getting Kai back anymore, but instead is fighting to reassert his position as the top Vanguard fighter in Japan, and return their humiliation tenfold.